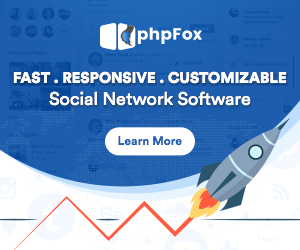 Turn your phpFox based website into mobile social network! Pricing options available, including rent packages. phpFoxer mobile apps are full-featured, cross-platform and provide you with PUSH notifications for iOS and Android. Applications are easily customisable, so you can change colours and make PUSH notifications right from admin panel. We also offer wide range of customizations, implementation of custom plugins and features. Review: phpFox mobile apps review. Please check our demo: link.